Some people like to dictate every nuance of their climate, from humidity to temperature.Some like to tinker with timing. Some like to specify preferences in eight different rooms. And some people simply want the temperature to stay where they put it. Which is why our line of thermostats and controls has something for everyone—including you. THINK OF AN INFINITY® CONTROL AS YOUR PERSONAL CLIMATE CONCIERGE. Creating the perfect temperature in your home is just the beginning. Our Infinity® controls can direct an entire advanced home-comfort system to let you precisely manage your comfort, humidity, ventilation and air purification from one source. They even make scheduling a breeze. No need to tip our controls, they’re just happy to serve. Your wish is its command. Our thermostats make it so easy to manage your home comfort. 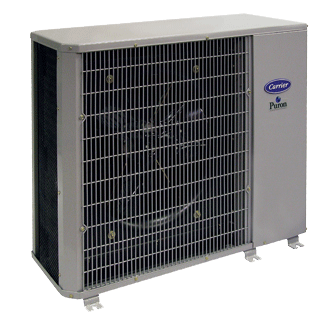 Each one gives you the comfort of a constant “ON” fan option, but some offer more choices, like programming features, zoning capabilities or Hybrid Heat® system compatibility. If only they worked on the temperature outside.